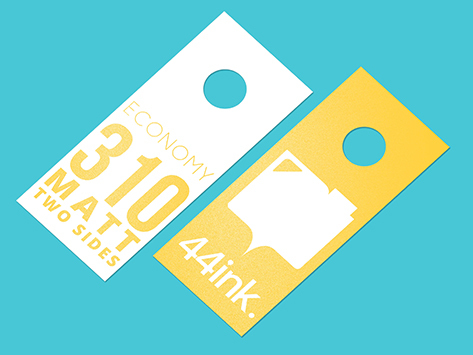 These door hangers are printed full colour one side or double sided on 310gsm paper stock. our cheapest yet high-quality and finishes with matt coated two sides. That will make your door hanger more diffuse and duller sheen. matt coated good for enhancing visual design with more subdued layout and color set with out having a lot of glare.